U.S. and Global Immigration News | Immigration News and Alerts from Giselle Carson, Esq. 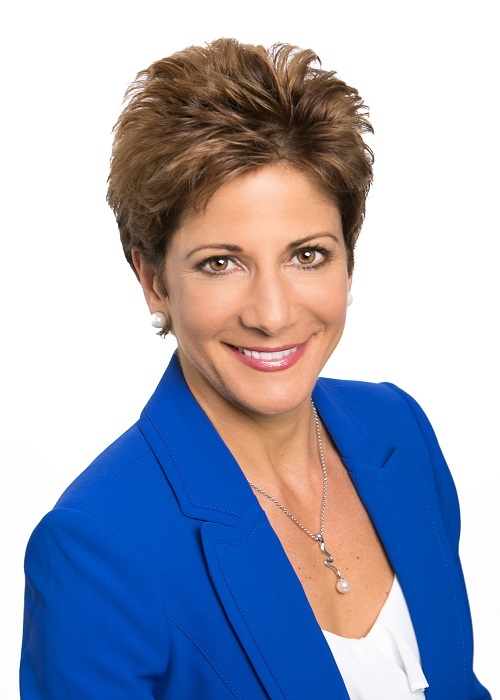 ~ Immigration News and Alerts from Giselle Carson, Esq. Video: What Are Visa Alternatives to H-1B Visa? ≈ Comments Off on Video: What Are Visa Alternatives to H-1B Visa? 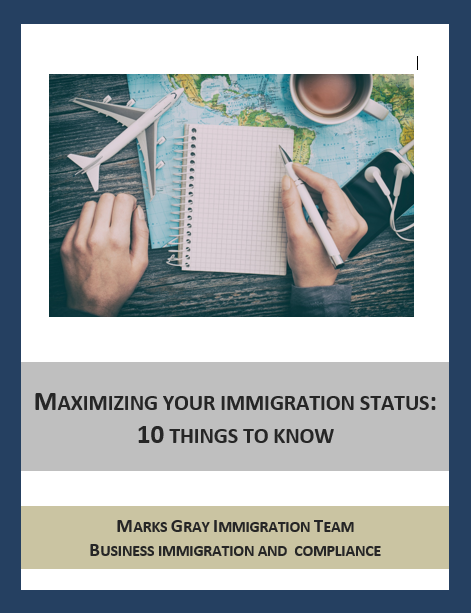 The Marks Gray Immigration Team regularly helps clients obtain Green Cards for permanent residency through National Interest Waivers (NIW). ≈ Comments Off on What Immigration-Related Questions Can Employers Ask During the Hiring Process? Employers are prohibited from denying protected individuals employment because of their real or perceived immigration or citizenship status. Immigration compliance is a top priority for the new administration, and many changes may be coming soon. One projection is that E-Verify will become mandatory for all employers. Currently, participation is voluntary except for federal contractors or if your state has a mandate. The Marks Gray Immigration Team is honored to receive the Avvo Clients’ Choice Award for our work assisting employers and individuals with business immigration matters. 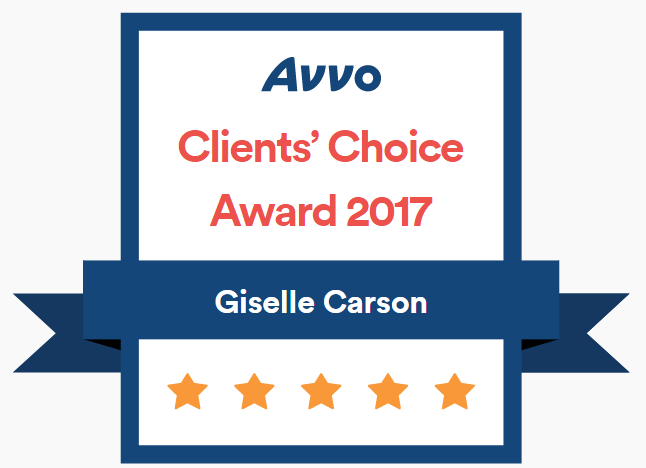 Avvo, a prominent online legal services marketplace, presents the Clients’ Choice Award each year based on the quantity and quality of reviews an attorney receives on the Avvo website. We’re grateful to our outstanding clients for their positive feedback and welcome the opportunity to continue to serve our community! The Marks Gray Immigration Team regularly helps clients with I-140 Petitions in the EB-1 Preference for Outstanding Professors and Researchers. This month, we are highlighting a success story of an internationally recognized physics professor and researcher from Romania. The content on this website is meant for informational purposes only and should not be used as a substitute for specific legal counsel. Marks Gray and Giselle Carson disclaim any and all liability for legal actions taken or not taken as a result of the content provided on this website. If you need legal assistance, please contact an attorney to discuss your specific situation.